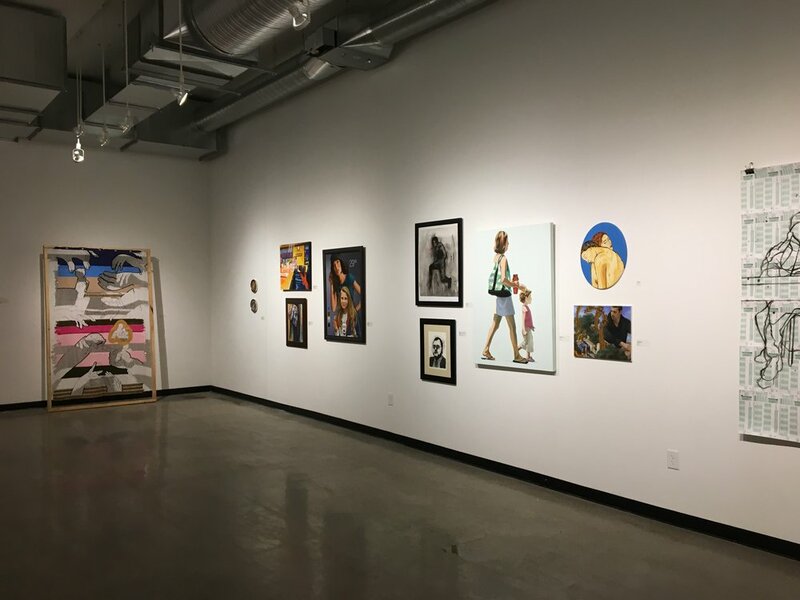 The St. Louis Artists’ Guild is proud to host Clearly Human III, an all-media group exhibition of artwork focused on the human figure. Clearly Human is a comprehensive look at the many ways of representing the human figure, from traditional to contemporary, realistic to fanciful, beautiful to unsettling. The exhibit presents a diverse view of humanity representing subjects varying greatly in gender, age, ethnicity, and nationality. Participating artists use the figure to explore a wide variety of themes, including definitions of beauty, perceptions of history, relationships with nature, and moments of everyday life. Michael Behle is an artist, educator, and community organizer based in St. Louis, Missouri. His work has been exhibited extensively at venues including: Laumeier Sculpture Park, St. Louis, Missouri; Phillips de Pury, New York, New York; Art Resources Transfer, New York, New York; Aqua Art, Miami, Florida; Next Art Fair, Chicago, Illinois; Mitchell Museum (Southern Illinois Biennial) Mt. Vernon, Illinois; Puerto Rico International Art Fair, San Juan, Puerto Rico; Sotheby’s in New York, New York; and The Underground, Stuttgart, Germany, among others. 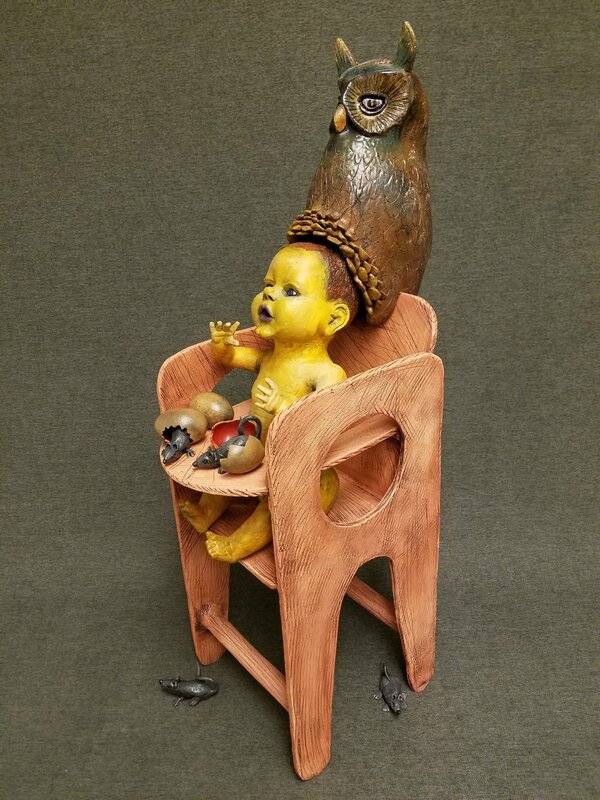 He received his Bachelor of Fine Arts degree from the Maryland Institute College of Art, and his Master of Fine Arts degree from Rutgers University. Behle is a fellow of the Vermont Studio Center, and the Community Arts Training Program through the Regional Arts Commission of St. Louis. In 2012 Behle founded Paul Artspace, a residency program located in St. Louis, Missouri, and in 2014 he co-founded Museum Blue, a project space also located in St. Louis. He has served as an independent curator on numerous projects for both local and national exhibitions. 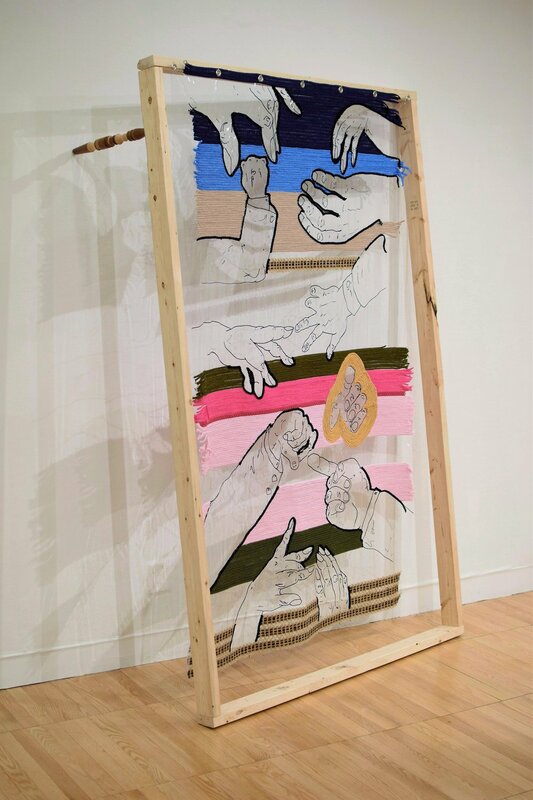 His work has received support in grants and fellowships from the Pulitzer Foundation for the Arts, the Regional Arts Commission, and the Vermont Studio Center, among others. Behle has served as a guest lecturer and visiting professor at several venues and institutions, most recently at Santa Reparata International School of Art in Florence, Italy and the Birmingham School of Art in the United Kingdom. He currently serves as Assistant Chairperson and Teaching Professor in the Department of Art and Design at the University of Missouri-St. Louis. click below to view the online catalog. Ansley Adams, Adina Andrus, Natalie Baldeon, Ward Behle, Ryan Bredlau, Paul Breuer, Kimberly Callas, Zach Chasnoff, Andrea Coates, Elizabeth Desrosiers, Barbara DiMartini, John Dyess, Dominic Finocchio, Ed Giganti, Tim Griffith, Celine Hartwig, David Hicks, Erin Holscher Almazan, Alex Johnmeyer, Perry Johnson, Zach Koch, Dimitrina Kutriansky, David Larson, Sue Lee, Kera Ling, Rachel Lozano, Barbara Marshall, Jordan McGirk, Rosemary Meza-DesPlas, Joshua Newth, Rosalinda Post-Lucas, Bryan Prather, Michelle Richardella, Cassandra Ronning, Thomas Russell, Katherine Shanks, Mike Sleadd, Debra Smith, John Sproul, Melinda K.P. Stees, Daniel Sullivan, Jessica Szuchyt, Russell Vanecek, Jerry Walters, Robert Weber, Julie Wiegand, Scot Wittman, Heather Woodson, Linda Wright, Carmile Zaino. Sole Van Emden- "Interior Moments." Van Emden's recent series of paintings focus on interior scenes that explore ideas about space. Her smaller works deal with movement through pictorial space by placing the viewer in solitude while looking beyond, even moving through to a suggested, perhaps dreamy place. The visual sensation is one of looking through a keyhole or a tunnel. Contrastingly, her panoramic paintings flatten space and examine the location of the viewer. In these paintings, the viewer's eye cannot capture the width of the picture plane in one glance and is forced into a back and forth scanning of the visual field. Shanlin Ye - "Reflections." Shanlin explores the mysteries of the human face. These works are not about seeking realism or perfection, but rather their opposite: the rough, imperfect, broken and abnormal. Her portraits seek to engage emotions hidden from view; to reveal unseen and unexpressed parts of the human experience. 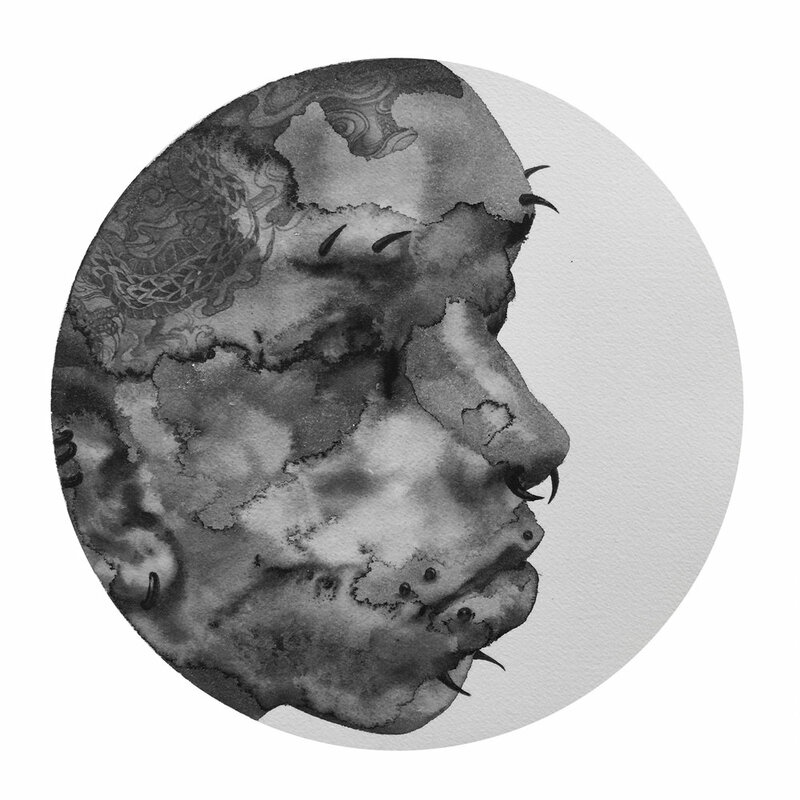 These portraits incorporate classical elements of traditional Chinese ink painting through a combination of black and white watercolor into a circular design. Shanlin enjoys using watercolor for these images, and is fascinated by the way pigment and water dance on paper, fluid and ungoverned, like a poem. Shanlin says, "creating each portrait feels to me like a spiritual communication — I hope the viewer, too, can find a way to “talk” to the personalities in these works." Perhaps, when you look at these faces, you will find some part of yourself: desire, vulnerability, toughness, rebellion.